The 7 Series has standard Post-Crash Braking, which automatically apply the brakes in the event of a crash to help prevent secondary collisions and prevent further injuries. The CT6 doesn’t offer a post collision braking system: in the event of a collision that triggers the airbags, more collisions are possible without the protection of airbags that may have already deployed. The 7 Series’ driver alert monitor detects an inattentive driver then sounds a warning and suggests a break. According to the NHTSA, drivers who fall asleep cause about 100,000 crashes and 1500 deaths a year. The CT6 doesn’t offer a driver alert monitor. Both the 7 Series and the CT6 have standard driver and passenger frontal airbags, front side-impact airbags, driver and front passenger knee airbags, side-impact head airbags, front seatbelt pretensioners, plastic fuel tanks, four-wheel antilock brakes, traction control, electronic stability systems to prevent skidding, daytime running lights, rearview cameras, available all wheel drive, night vision systems and around view monitors. The 7 Series’ corrosion warranty is 6 years longer than the CT6’s (12 vs. 6 years). A reliable vehicle saves its owner time, money and trouble. Nobody wants to be stranded or have to be without a vehicle while it’s being repaired. Consumer Reports rates the 7 Series’ reliability 40 points higher than the CT6. J.D. 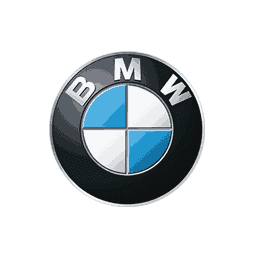 Power and Associates rated the 7 Series second among large premium cars in their 2018 Initial Quality Study. The CT6 isn’t in the top three in its category. 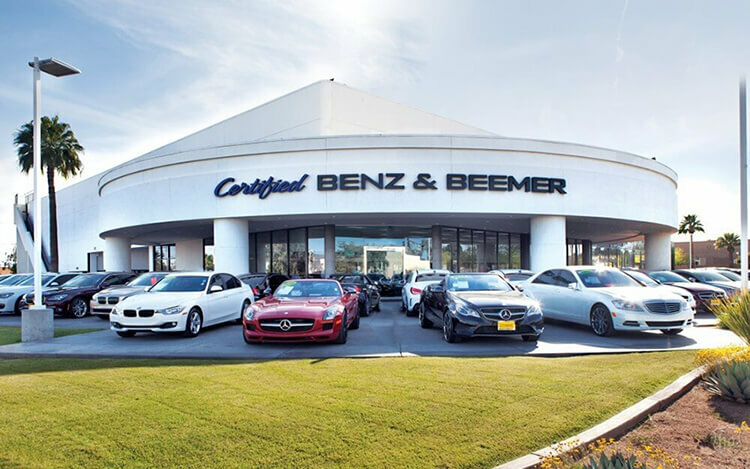 From surveys of all its subscribers, Consumer Reports’ April 2018 Auto Issue reports that BMW vehicles are more reliable than Cadillac vehicles. Consumer Reports ranks BMW 22 places higher in reliability than Cadillac. On the EPA test cycle the 740e running on electricity gets better fuel mileage than the CT6 2.0 Turbo (62 city/68 hwy MPGe vs. 24 city/30 hwy). On the EPA test cycle the 740i xDrive gets better fuel mileage than the CT6 3.6 V6 AWD (20 city/29 hwy vs. 18 city/27 hwy). The 740i xDrive gets better fuel mileage than the CT6 3.0 Twin Turbo V6 AWD (20 city/29 hwy vs. 18 city/26 hwy). The 740e can drive on battery power alone for up to 14 miles. The CT6 must run its internal combustion engine to move. Regenerative brakes improve the 7 Series’ fuel efficiency by converting inertia back into energy instead of wasting it. The CT6 doesn’t offer a regenerative braking system. The 7 Series’ standard fuel tank has 1.1 gallons more fuel capacity than the CT6 (20.6 vs. 19.5 gallons). For better traction, the 7 Series has larger standard tires than the CT6 (245/50R18 vs. 235/50R18). The Alpina B7’s optional tires are larger than the largest tires available on the CT6 (F:255/35R21 & R:295/30R21 vs. 245/45R19). The Alpina B7’s optional 255/35R21 front and 295/30R21 rear tires provide better handling because they have a lower 35 series front and 30 series rear profile (height to width ratio) that provides a stiffer sidewall than the CT6’s optional 40 series tires. For better ride, handling and brake cooling the Alpina B7 offers optional 21-inch wheels. The CT6’s largest wheels are only 20-inches. Changing a flat tire near traffic can be dangerous and inconvenient. The run-flat tires available on the 7 Series can be driven up to 50 miles without any air pressure, allowing you to drive to a service station for a repair. The CT6 doesn’t offer run-flat tires. The 7 Series offers active sway bars, which help keep it flat and controlled during cornering, but disconnect at lower speeds to smooth the ride and offer greater off-road suspension articulation. This helps keep the tires glued to the road on-road and off. The CT6 doesn’t offer an active sway bar system. The front and rear suspension of the 7 Series uses air springs for a smoother, controlled ride than the CT6, which uses coil springs. Air springs maintain proper ride height and ride more smoothly. The 7 Series offers an available active suspension system, which counteracts cornering forces actively, limiting body roll and improving handling and stability. Cadillac doesn’t offer an active suspension on the CT6. The 7 Series has a standard automatic front and rear load leveling suspension to keep ride height level with a heavy load or when towing. The 7 Series’ height leveling suspension allows the driver to raise ride height for better off-road clearance and then lower it again for easier entering and exiting and better on-road handling. The CT6 doesn’t offer a load leveling suspension. For a smoother ride and more stable handling, the 7 Series’ wheelbase is 4 inches longer than on the CT6 (126.4 inches vs. 122.4 inches). The Alpina B7 handles at .97 G’s, while the CT6 pulls only .81 G’s of cornering force in a Car and Driver skidpad test. The 750i xDrive executes Motor Trend’s “Figure Eight” maneuver 1.3 seconds quicker than the CT6 (25.4 seconds @ .75 average G’s vs. 26.7 seconds @ .66 average G’s). The 7 Series has .9 inches more front shoulder room, .9 inches more rear headroom, 4 inches more rear legroom and 1.5 inches more rear shoulder room than the CT6. A low lift-over trunk design makes loading and unloading the 7 Series easier. The 7 Series’ trunk lift-over height is 27.2 inches, while the CT6’s liftover is 29.1 inches. A standard locking glovebox (which can’t be accessed with the valet key) keeps your small valuables safer in the 7 Series. The CT6 doesn’t offer locking storage for small valuables. The CT6 Premium Luxury/Platinum/Sport’s cornering lamps activate a lamp on the front corner when the turn signal is activated. The 7 Series’ standard adaptive cornering lights turn the actual headlight unit up to several degrees, depending on steering wheel angle and vehicle speed. This lights a significant distance into corners at any speed. Insurance will cost less for the 7 Series owner. The Car Book by Jack Gillis rates the 7 Series with a number “1” insurance rate while the CT6 is rated higher at a number “3” rate. According to The Car Book by Jack Gillis, the 7 Series is less expensive to operate than the CT6 because typical repairs cost less on the 7 Series than the CT6, including $3 less for front brake pads.